Robert Clark is a post-graduate researcher at the Department of War Studies at King’s College London, and is a British military veteran. His specialities include UK foreign policy in Asia Pacific and UK defence relations. Divergent Options’ content does not contain information of an official nature nor does the content represent the official position of any government, any organization, or any group. Date Originally Written: February 17, 2019. Date Originally Published: February 25, 2019. Summary: The British Army’s recent land trials of the Tracked Hybrid Modular Infantry System of Unmanned Ground Vehicles, seeks to ensure that the British Army retains its lethality in upcoming short to medium level intensity conflicts. These trials align with the announcements by both the British Army’s Chief of General Staff, General Carleton-Smith, and by the Defence Secretary, Gavin Williamson, regarding the evolving character of warfare. Text: The United Kingdom’s (UK) current vision for the future role of Unmanned Ground Vehicles (UGVs) originates from the British Army’s “Strike Brigade” concept, as outlined in the Strategic Defence Security Review 2015. This review proposed that British ground forces should be capable of self-deployment and self-sustainment at long distances, potentially global in scope. According to this review, by 2025 the UK should be able to deploy “a war-fighting division optimised for high intensity combat operations;” indeed, “the division will draw on two armoured infantry brigades and two new Strike Brigades to deliver a deployed division of three brigades.” Both Strike Brigades should be able to operate simultaneously in different parts of the world, and by incorporating the next generation autonomous technology currently being trialled by the British Army, will remain combat effective post-Army 2020. The ability for land forces of this size to self-sustain at long-range places an increased demand on logistics and the resupply chain of the British Army, which has been shown to have been overburdened in recent conflicts. This overburdening is likely to increase due to the evolving character of warfare and of the environments in which conflicts are likely to occur, specifically densely populated urban areas. These densely populated areas are likely to become more cluttered, congested and contested than ever before. Therefore, a more agile and flexible logistics and resupply system, able to conduct resupply in a more dynamic environment and over greater distances, will likely be required to meet the challenges of warfare from the mid-2020s and beyond. Sustaining the British Armed Forces more broadly in densely populated areas may represent something of a shift in the UK’s vision for UGV technology. This UGV technology was previously utilised almost exclusively for Explosive Ordnance Disposal (EOD) and for Countering-Improvised Explosive Devices for both the military and the police, as opposed to being truly a force-multiplier developing the logistics and resupply chains. Looking at UGVs as a force multiplier, the Ministry of Defence’s Defence Science and Technology Laboratory (DTSL) is currently leading a three-year research and development programme entitled Autonomous Last Mile Resupply System (ALMRS). The ALMRS research is being undertaken to demonstrate system solutions which aim to reduce the logistical burden on the entire Armed Forces, in addition to providing new operational capability and to reduce operational casualties. Drawing on both commercial technology as well as conceptual academic ideas – ranging from online delivery systems to unmanned vehicles – more than 140 organisations from small and medium-sized enterprises, to large military-industrial corporations, submitted entries. The first phase of the ALMRS programme challenged industry and academia to design pioneering technology to deliver vital supplies and support to soldiers on the front line, working with research teams across the UK and internationally. This research highlights the current direction with which the British vision is orientated regarding UGVs, i.e., support-based roles. Meanwhile, the second phase of the ALMRS programme started in July 2018 and is due to last for approximately twelve months. It included ‘Autonomous Warrior’, the Army Warfighting Experiment 18 (AWE18), a 1 Armoured Infantry Brigade battlegroup-level live fire exercise, which took place on Salisbury Plain in November 2018. This live fire exercise saw each of the five remaining projects left in the ALMRS programme demonstrate their autonomous capabilities in combined exercises with the British Armed Forces, the end user. The results of this exercise provided DSTL with user feedback, crucial to enable subsequent development; identifying how the Army can exploit developments in robotics and autonomous systems technology through capability integration. Among the final five projects short-listed for the second phase of ALMRS and AWE18 was a UGV multi-purpose platform called TITAN, developed by British military technology company QinetiQ, in partnership with MILREM Robotics, an Estonian military technology company. Developing its Tracked Hybrid Modular Infantry System (THeMIS), the QinetiQ-led programme impressed in the AWE18. The THeMIS platform is designed to provide support for dismounted troops by serving as a transport platform, a remote weapon station, an IED detection and disposal unit, and surveillance and targeting acquisition system designed to enhance a commander’s situational awareness. THeMIS is an open architecture platform, with subsequent models based around a specific purpose or operational capability. THeMIS Transport is designed to manoeuvre equipment around the battlefield to lighten the burden of soldiers, with a maximum payload weight of 750 kilograms. This 750 kilogram load would be adequate to resupply a platoon’s worth of ammunition, water, rations and medical supplies and to sustain it at 200% operating capacity – in essence, two resupplies in one. In addition, when utilised in battery mode, THeMIS Transport is near-silent and can travel for up to ninety minutes. When operating on the front-line, THeMIS Transport proves far more effective than a quad bike and trailer, which are presently in use with the British Army to achieve the same effect. Resupply is often overseen by the Platoon Sergeant, the platoon’s Senior Non-Commissioned Officer and most experienced soldier. Relieving the Platoon Sergeant of such a burden would create an additional force multiplier during land operations. In addition, THeMIS can be fitted to act as a Remote Weapons System (RWS), with the ADDER version equipped with a .51 calibre Heavy Machine Gun, outfitted with both day and night optics. Additional THeMIS models include the PROTECTOR RWS, which integrates Javelin anti-tank missile capability. Meanwhile, more conventional THeMIS models include GroundEye, an EOD UGV, and the ELIX-XL and KK-4 LE, which are surveillance platforms that allow for the incorporation of remote drone technology. By seeking to understand further the roles within the British Armed Forces both artificial intelligence and robotics currently have, in addition to what drives these roles and what challenges them, it is possible to gauge the continued evolution of remote warfare with the emergence of such technologies. Specifically, UGVs and RWS’ which were trialled extensively in 2018 by the British Army. Based upon research conducted on these recent trials, combined with current up-to-date in-theatre applications of such technology, it is assessed that the use of such equipment will expedite the rise of remote warfare as the preferred method of war by western policy makers in future low to medium level intensity conflicts seeking to minimise the physical risks to military personnel in addition to engaging in conflict more financially viable. National Security Situation: In a notional future the Kingdom of Saudi Arabia (KSA) Defense Ministry leadership are strongly advocating for initiating a domestic nuclear weapons development program and have begun discussing the issue at King Abdullah City for Atomic and Renewable Energy. Date Originally Written: January 14, 2018. Date Originally Published: March 26, 2018. Author and / or Article Point of View: This article is written from the point of view of a non-proliferation and arms control professional working in the U.S. government. This professional was asked to provide recommendations to members of the national security council on how to dissuade the Kingdom of Saudi Arabia from pursuing nuclear weapons. Background: This background, though containing some facts, is based on the above described notional situation. Key drivers for the KSA on the issue are anticipation of the expiration of the Iranian Joint Comprehensive Plan of Action within 10-15 years and persistent adversarial relations with Iran; likely attributable to continued Islamic Revolutionary Guard Corps activity throughout the Gulf Cooperation Council region. This adversarial activity includes perceived Iranian support of Houthi Rebels, by proxy, in Yemen, a force that frequently fires ballistic missiles into KSA territory and has destabilized the KSA’s southern border region. – is a member of the Nuclear Non-proliferation Treaty (NPT) and has actively supported the establishment of a Weapons of Mass Destruction Free Zone in the Middle East (as recently as May, 2017). – does not currently possess the technological, intellectual or infrastructural capability necessary to produce fissile material or a nuclear weapon. – has been working to develop a domestic nuclear energy program. – possesses nuclear weapon capable delivery vehicles which were purchased in 2007 from China (DF-21 ballistic missile variants) and has spent substantial resources developing its Strategic Missile Force. – recently published a plan for state-level economic reformation (“Vision 2030”). – signed a memorandum of understanding with the U.S. in 2008 on nuclear energy cooperation, an objective also discussed with France. – has illicit agreements with states such as Pakistan for “off the shelf” nuclear weapons capabilities based on the known fact that the KSA funded work by A.Q. Khan. – “Checking Iran’s malign influence while strengthening regional friends and allies” (Defense Posture Statement, 2017) and, therefore, the security of trade within and through the Middle East. – Support of the Nuclear Non-Proliferation Treaty and the NPT 2020 review. – Support of weapons of mass destruction free zones and, therefore, the establishment of a nuclear weapon free zone in the Middle East. “Vision 2030” is an extremely ambitious and aggressive plan that is heavily reliant on both foreign direct investment and non-native intellectual contribution to domestic institutional development. The U.S. could assist the KSA in providing both in a manner that emphasizes domestic nuclear energy and deemphasizes the pursuit of nuclear weapons. Mohammed Bin Salman, author of the plan, is expected to accede the throne soon (to ensure the passing of power under supervision of the current king), and already exercises significant authority regarding the KSA’s future and will be the primary stakeholder in all major decisions. Risk: This option accepts that the KSA develops a domestic nuclear energy program which may require more than customary monitoring to determine if this program will become dual-use for nuclear weapons development. Gain: This option demonstrates public U.S. support for key allies sustainable economic development in a manner that obscures specific intentions of policy and will benefit the U.S. economy in long run because of increased ties to development. Option #2: The U.S. enhances its current security guarantee and cooperation by expanding the types of weapon systems/services delivered to the KSA and making rapid initial delivery of key systems, which will provide public regional assurance of commitment. Risk: This option only passively addresses KSA nuclear weapon development discussions as it seeks to address insecurity by attempting to conventionally deter Iran. Gain: The U.S. Department of Defense is currently seeking acquisition of long-range munitions in significant numbers and funding from this expanded agreement could be used to jump-start production. Rapid delivery would reinforce commitment to all allies in the region. Other Comments: Option #1 maximizes benefits for both parties, better than other options. While U.S. national interests are supported in the region, the U.S. will also benefit economically from partnerships built out of acknowledgment and support of the KSA’s effort to achieve “Vision 2030.” Option #1 will also demonstrate U.S. engagement in the region’s key interests and political/economic initiatives. Discussions of nuclear weapons development will be decisively dealt with in a non-public manner; an issue that, if handled publicly, could cause concern in other regional states. Sina Kashefipour is the founder and producer of the national security podcast The Loopcast. He currently works as an analyst. The opinions expressed in this paper do not represent the position of his employer. Divergent Options’ content does not contain information of an official nature nor does the content represent the official position of any government, any organization, or any group. National Security Situation: The battle for control and influence over the information space. Date Originally Written: May 18, 2017. Date Originally Published: May 29, 2017. Author and / or Article Point of View: The author believes that there is no meat space or cyberspace, there is only the information space. The author also believes that while the tools, data, and knowledge are available, there is no United States organization designed primarily to address the issue of information warfare. Background: Information warfare is being used by state and non-state adversaries. Information warfare, broadly defined, makes use of information technology to gain an advantage over an adversary. Information is the weapon, the target, and the medium through which this type of conflict takes place. Information warfare includes tactics such as misinformation, disinformation, propaganda, psychological operations and computer network operations . Significance: Information warfare is a force multiplier. Control and mastery of information determines success in politics and enables the driving of the political narrative with the benefit of not having to engage in overt warfare. Information warfare has taken a new edge as the information space and the political are highly interlinked and can, in some instances, be considered as one. USIA’s original purpose was largely designated by the Cold War. The aforementioned four points are a good starting point, but any revival of the USIA would involve the resulting organization as one devoted to modern information warfare. A modern USIA would not just focus on what a government agency can do but also build ties with other governments and across the private sector including with companies like Google, Facebook, and Twitter as they are platforms that have been used recently to propagate information warfare campaigns . Private sector companies are also essential to understanding and limiting these types of campaigns . Furthermore, building ties and partnering with other countries facing similar issues to engage in information warfare would be part of the mission . Risk: There are two fundamental risks to reconstituting a USIA: where does a USIA agency fit within the national security bureaucracy and how does modern information warfare pair with the legal bounds of the first amendment? Defining the USIA within the national security apparatus would be difficult. The purpose of the USIA would be easy to state, but difficult to bureaucratically define. Is this an organization to include public diplomacy and how does that pair/compete with the Department of State’s public diplomacy mission? Furthermore, if this is an organization to include information warfare how does that impact Department of Defense capabilities such as the National Security Agency or United States Cyber Command? Where does the Broadcasting Board of Governors fit in? Lastly, modern execution of successful information warfare relies on a whole of government approach or the ability to advance strategy in an interdisciplinary fashion, which is difficult given the complexity of the bureaucracy. The second risk is how does an agency engage in information warfare in regards to the first amendment? Consider for a moment that if war or conflict that sees information as the weapon, the target, and the medium, what role can the government legally play? Can a government wage information warfare without, say, engaging in outright censorship or control of information mediums like Facebook and Twitter? The legal framework surrounding these issues are ill-defined at present . Gain: Having a fully funded cabinet level organization devoted to information warfare complete with the ability to network across government agencies, other governments and the private sector able to both wage and defend the United States against information warfare. The proposed working group would focus on a singular issue and in contrast to Option #1, a working group would have a tightly focused mission, limited staff, and only focus on a singular problem. Option #3: The United States Government creates a dox and dump Wikileaks/Shadow Brokers style group. If all else fails then engaging in attacks against adversary’s secrets and making them public could be an option. Unlike the previous two options, this option does not necessarily represent a truthful approach, rather just truthiness. In practice this means leaking/dumping data that reinforces and emphasizes a deleterious narrative concerning an adversary. Thus, making their secrets very public, and putting the adversary in a compromising position. Risk: Burning data publicly might compromise sources and methods which would ultimately impede/stop investigations and prosecutions. For instance, if an adversary has a deep and wide corruption problem is it more effective to dox and dump accounts and shell companies or engage in a multi-year investigatory process? Dox and dump would have an immediate effect but an investigation and prosecution would likely have a longer effect. Gain: An organization and/or network is only as stable as its secrets are secure, and being able to challenge that security effectively is a gain. Waltzman, Rand. (2017, April 27). The Weaponization of Information: The Need of Cognitive Security. Testimony presented before the Senate Armed Services Committee, Subcommittee on Cybersecurity on April 27, 2017. Pomerantsev, Peter and Michael Weiss. (2014). The Menace of Unreality: How the Kremlin Weaponizes Information, Culture, and Money. Giles, Keir. (2016, November). Handbook of Russian Information Warfare. 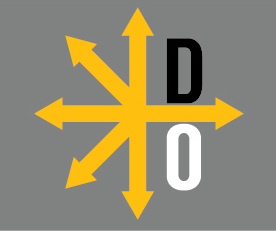 Fellowship Monograph Research Division NATO Defense College. There is an interesting conceptual and academic debate to be had between what is information warfare and what is an information operation. In reality, there is no difference given that the United States’ adversaries see no practical difference between the two. Nuland, William, Stamos, Alex, and Weedon, Jen. (2017, April 27). Information Operations on Facebook. Truthiness is defined as “the quality of seeming to be true according to one’s intuition, opinion, or perception, without regard to logic, factual evidence, or the like.” Dictionary.com. Truthiness. Retrieved: http://www.dictionary.com/browse/truthiness. Truthiness in this space is not just about leaking data but also how that data is presented and organized. The goal is to take data and shape it so it feels and looks true enough to emphasize the desired narrative.